Ahhh. Wow. It is an exchange upon which I often meditate. The world: our consumer culture, the 24-hour “news” cycle, racism, sexism, xenophobia, the cult of war… all these forces and more conspire to change us, to strip us of our humanity and our innate compunction to reach out to neighbor and make the world better. All these forces would like to see us cynical, fearful and compliant. Abraham Johannes Muste does not have to say all that. He just simply uttered a few words and we know all the rest. I never met the man. He died 45 years ago this month (February 11th to be exact). But from stories and the recollections of others, he seems some sort of pacifist knight. He was born in Holland and came to the United States when he was a small boy. His family settled in Grand Rapids, Michigan. From there he went on to study theology and eventually became a minister with a church in New York City, married Anna Huizenga and had three children. I had to face—not academically but existentially, as it were—the question of whether I could reconcile what I had been preaching out of the Gospel and passages like 1 Corinthians, 13, from the Epistles, with participation in war. These ponderings made Muste change; he grew more and more interested in the faith and practice of the Quakers, and eventually became a Friend. After that giant step, Muste was involved in many peace and justice struggles. He counseled men seeking conscientious objector status during World War I; he worked with striking workers in the textile mills of Lawrence, Massachusetts and then came to work for the Fellowship of Reconciliation. From that post, Muste helped to bring a deeply religious but ecumenical flavor to ongoing work for peace and justice—from war tax resistance and anti-nuclear organizing to the civil rights movement and the anti-war movement. These few sentences can hardly do justice to a life so fully lived, but besides the books already mentioned, there are numerous biographical articles online—here, here and here are a good start. I say, let’s learn more about this man, especially now that there is this new wave of activism and outrage and radicalism springing forth in the United States through “Occupy” and other fronts. I think it all needs a little Muste flavor. February is a tough month, still very much winter but holding the promise of spring in the offing. It contains a strange collection of holidays and remembrances: Black History Month, so often scattershot and condescending; Valentine’s Day, the international flower, diamond and candy cartel’s brilliant invention; and of course President’s Day, now the official realm of shrill hawkers of furniture and cars wearing tall beaver hats or powdered wigs. A.J. 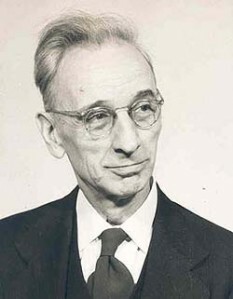 Muste died on February 11, 1967 at the age of 82. Perhaps we can inaugurate a new holiday in the shortest of months—A.J. Muste Day. Totally support the idea of AJ Muste Day! Just to add two things. Firstly, I find it very moving that Muste’s commitment to solidarity led him for several years into Trotskyism (the Socialist Workers’ Party), and that he retained his commitment to class justice when he re-emerged. Secondly, one extraordinary tribute to Muste was Noam Chomsky’s long essay on the background to the Pacific War in his first book, American Power and the New Mandarins. An amazing attempt to subject his ideas to their harshest test. We need more Muste, that’s for sure. Frida: having just gone through one of the 99% Spring trainings (and been very disappointed by the one I attended, unfortunately), I find myself coming back to this piece you wrote a couple months ago. Thanks for this source of inspiration and possibility — and for all that you continue to offer in those capacities to us, your fellow peace walkers.